Instead of being whisked away to a romantic meal or been bombarded with flowers some of us are sitting in their homes twiddling their thumbs. Instead of twiddling them - I'm painting them! To keep boredom at bay I have a habit of playing around with my make up and nail varnishes. 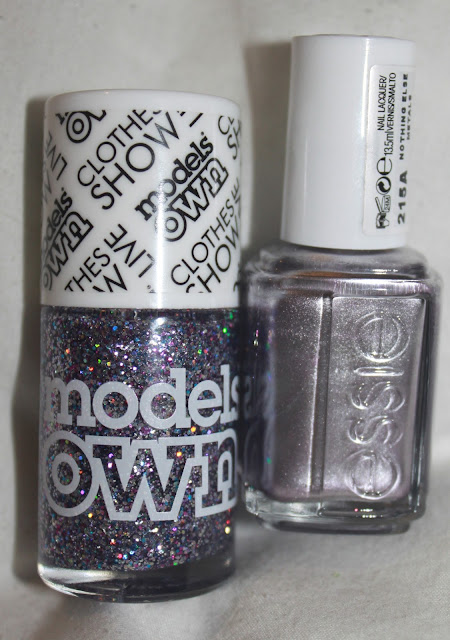 I picked up two varnishes, Models Own Show Stopper, an exclusive shade to Clothes Show which I was lucky enough to be given by the lovely Holly Arabella. 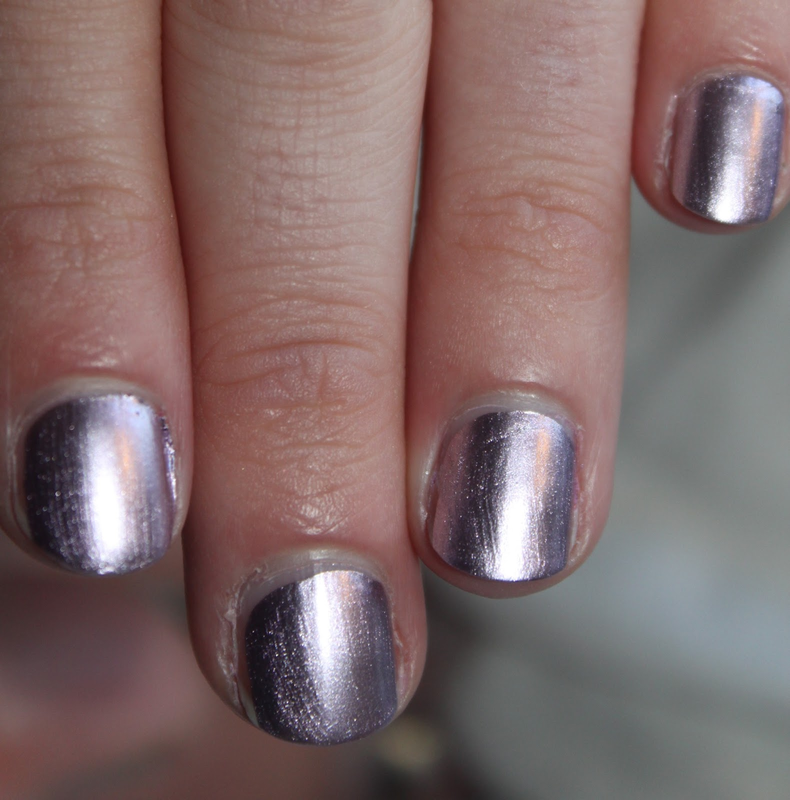 The second one was Nothing Else Metals by Essie. You can also win this shade in my giveaway. Nothing Else Metals is a metallic silver with gorgeous pink tones. This really looks stunning on the nails only only needs one coat!! Show Stopper is becoming one of my favourite glitter polishes, and is full of fine pink, silver and violet glitter and also larger blue and silver glitter which change colours in the light - stunning! This Essie polish has a really wide brush so it covered my nails effortlessly. As I said it needed one coat, so a win for me!! As you can see the shine on this gorgeous colour is just perfect and the hint of pink gives it a unique look. I then dabbed the Show Stopper at the tips and waited for it to dry. Then I built the colour up by adding layers of different amounts of glitter to create a gradient effect. How simple!! Show Stopper and Nothing Else Metals dried so quick so I was able to carry on with the day and not worry about any smudges. I was so pleased with how it looked. 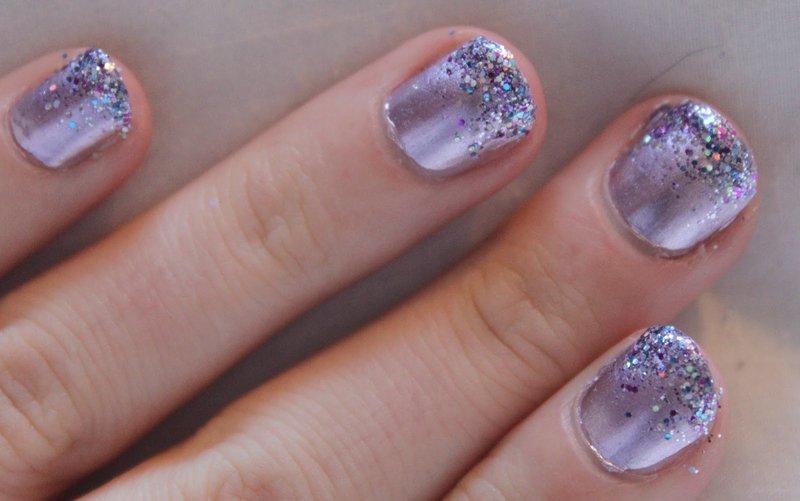 A perfect princess looking mani. Try doing it with colours of your choice! I hope you enjoyed reading and link me up with your Valentines and glittery manis! Your nails look so lovely! Love anything to do with glitter! Thank you so much to take the time to follow my blog, means so much. Can't wait to check yours out. Really pretty nails! I love the model's own glitters. 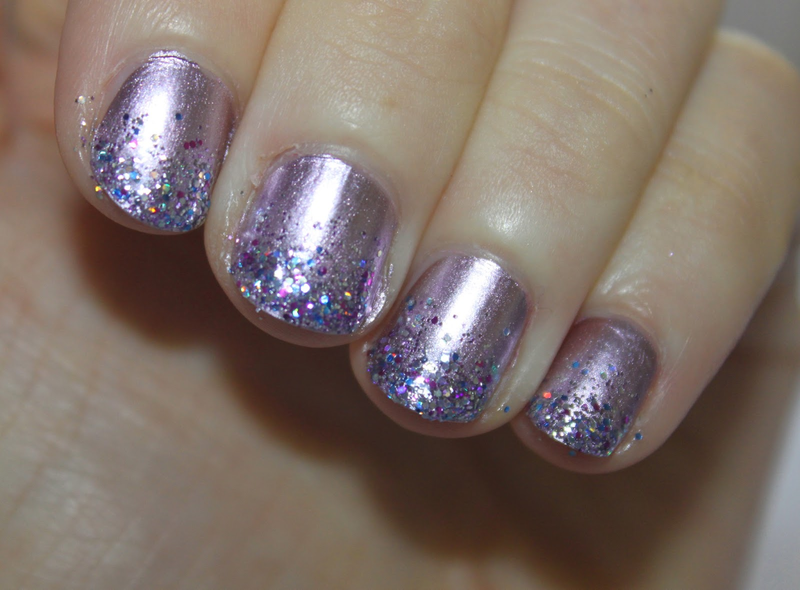 ah wonderful, I have been wondering how to do the sparse glitter effect! Will be trying this later! I am definitely adding this Eddie shed to my collection!